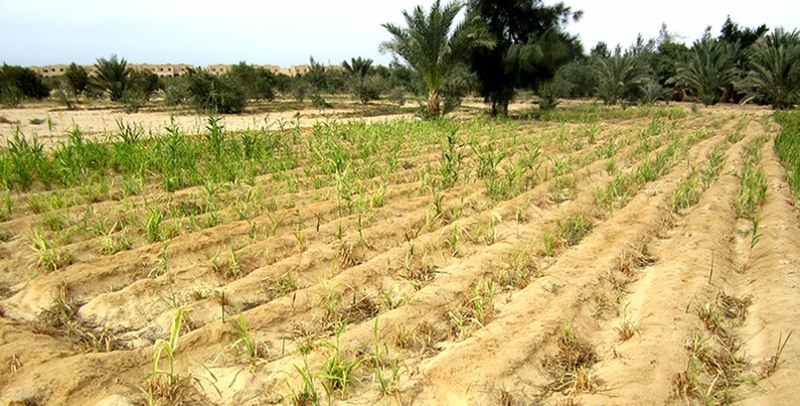 The severe water scarcity in the West Asia and North Africa (WANA) region, which includes Egypt, the salinization of more than 25 to 40 percent of the irrigated agricultural land in the region and the severe deterioration of the groundwater-based agricultural system with salinity of more than 50 percent of such land. In addition to the severe impact of the climate change in the region, all has led to more deterioration in the agricultural resources and to lower productivity in many marginal areas within the WANA region. This has called to search for alterative production system that are more resilient and more adapted to marginal environmental conditions. ICBA in partnership with several partners in the region has developed an integrated approach to enhance agricultural production in the marginal environments and address the impact of climate change through development of more resilient genotypes, optimized management, enhanced crop production, enhanced livestock, and enhanced crop products. At the center of this integrated system is the availabilty of the seeds of resilient genotypes, which are not available commercially. Therefore a system has to be developed for production of such seeds to meet the demands of the farmers. ICBA along with the partners, aims to to produce seeds of more than five varieties to meet the demands of atleast 5000 farming families. The innovative approach of this project is the direct engagement of resources poor farmers in the marginal areas of Egypt in the seed production entrepreneurship. Not only the model will overcome a main obstacle facing such farmers, which is the lack of access to seeds of better adapted and more productive varieties that fit the marginal conditions, but also it will provide a group of them the opportunity to produce seeds for self-sufficiency and commercial purposes where they will generate extra income through the marketing and distribution of the seeds to other farmers through suppliers and the catalyst role NARS and the partners NGOs (mainly seed producer groups and farmers associations).